It's a news headline any motorcycle enthusiast would be glad to read: "Motorcycle deaths hit lowest point in more than a decade in PA."
According to the most recent statistics, there were 179 fatal motorcycle accidents in 2015—down from 186 in 2014—which surprised some industry experts. Why? Because of the tremendously mild winter the Keystone State experienced this year. For example, The Alliance of Bikers Aimed Toward Education (more commonly referred to as A.B.A.T.E. of Pennsylvania) pointed out in a news story that all those unseasonably warm days likely lured plenty of hibernating bikers out onto the open road. And more riding days means more potential for accidents and injuries, they reasoned. So what gives? What made 2015 a benchmark year when it comes to motorcycle fatalities? Some believe that long-term effective safety initiatives may have played a major role by ingraining themselves in motorists’ minds over time. Some initiatives have been in place for years. For the past 10 years, A.B.A.T.E. has been producing and distributing yard signs reading, "Look Twice—Save a Life. Watch for Motorcycles." And you probably remember the "Live Free Ride Alive" motorcycle safety awareness campaign launched a few years back by the Pennsylvania Department of Transportation, and designed specifically for motorcyclists to remind them about the importance of safe and sober riding. 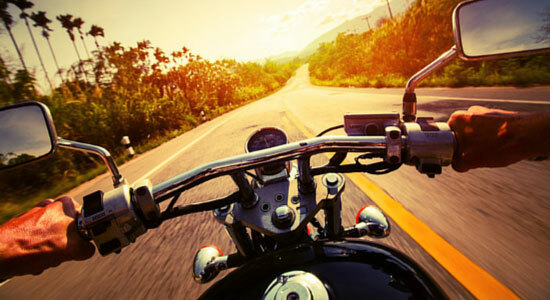 Because we see the devastation caused by motor cycle accidents at Edgar Snyder & Associates, we are also doing our part to make sure Pennsylvania roadways are a safer place for motorcyclists. In 2015, our firm partnered with motorcycle safety guru (and Greater Pittsburgh Motorcycle Safety Council president) Hal Deily to launch Snyder's Riders, a community of motorcyclists dedicated to protecting themselves and their loved ones. Together we created PSAs that stressed the importance of everything from wearing the proper gear to attending rider training courses, and we didn't stop there. We are now asking motorcyclists across the state to join Snyder’s Riders by heading to SnydersRiders.com, and to take the Safety Pledge—which encourages riders and passengers alike to make safety a priority by riding within their limits and improving their riding skills and knowledge through continuing education. When you join Snyder's Riders, you will receive a membership card, a Snyder's Rider's bandana, and will also receive a monthly newsletter that will give you the latest on motorcycle trends and tips. But that's not all: You can enter giveaways, contests and even earn points that will help you win prizes. While the number of motorcycle fatalities was at a 10-year low last year, accidents still abound, and thousands are still injured each year on the roads. We invite all Pennsylvania motorcyclists to join us in not only becoming a part of Snyder’s Riders, but also in setting a good example on the roads. Together, we can make 2016 the safest year yet for Pennsylvania motorcyclists.